THE METROPOLITAN POLICE have been forced to issue denials after a text message warning of an imminent terrorist attack on the London underground went viral overnight. The message, which had spread via WhatsApp and SMS, claimed to be offering information from inside the Met, that all officers had been summoned to work at 4am this morning in response to an imminent terrorist attack on the tube. Senior figures from both the Met and British Transport Police were quick to do their best to quash the rumours last night, however. Rumour control: The "alert" doing the rounds on social about all Met officers being called in for 4am tomorrow is a hoax. The hoax message comes after the UK on Friday raised its terror threat level from “substantial” to “severe”, in response to an increasing number of British and European jihadist fighters in Syria and Iraq. 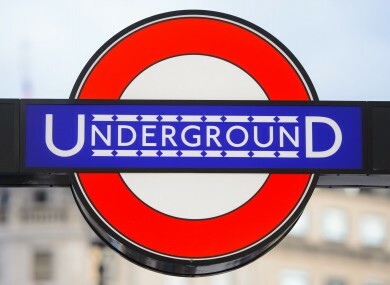 As part of their announcement, the British Home Office warned that that the public should look out for “suspicious bags on public transport” but “should not let the fear of terrorism stop them from going about their day-to-day life as normal”. Email “Terrorist attack warning goes viral, London police say 'It's a complete hoax'”. Feedback on “Terrorist attack warning goes viral, London police say 'It's a complete hoax'”.